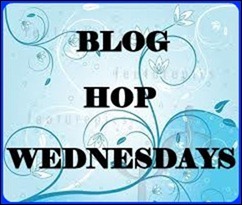 Hi Everyone ,hope u all doing great.Me too :) Time for Blog hop! 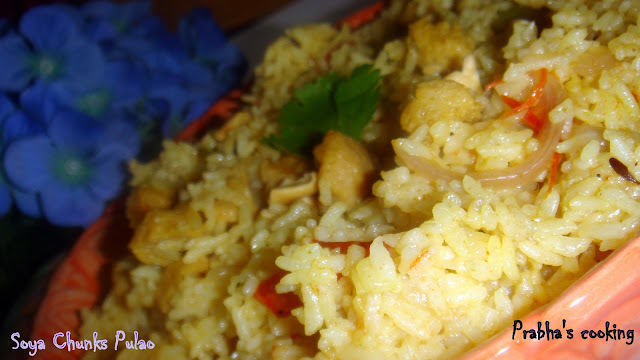 !Event started by radhika of "Tickling Palates" .This week i paired with Neetu's "Hobby Chef".From her blog i took Protien rich Pulao recipe.You can add any other desired vegetables to this pulao. Soak rice for 15 to 30 mins. Prepare soya chunks and chop ,in to small bite pieces. Heat the pressure cooker,add ghee splutter whole garam masala & cumin seeds. Add ginger garlic paste,fry for 1 mins. Then add onion & capsicum fry again for 2 mins. Add the soya chunks mix well. Now add required water to the rice ,put some chopped cilantro on the top. Now close the lid and pressure cook it. Once the whistle completely cool downs,open the lid and mix gently. Sending this recipe to Radhika's "Blog Hop Wednesday" ~ Week 9 & Vardini's "Dish it out".You can click Here to see my Co-Blogger's recipes!!! and to Kavi & Smita for "Healthylunch"
super idea! I am going to make this soon! hi.. great pulao! If you can, please go throught the rules of my Healthy Lunch Challenge & link your post there too. Thanks! 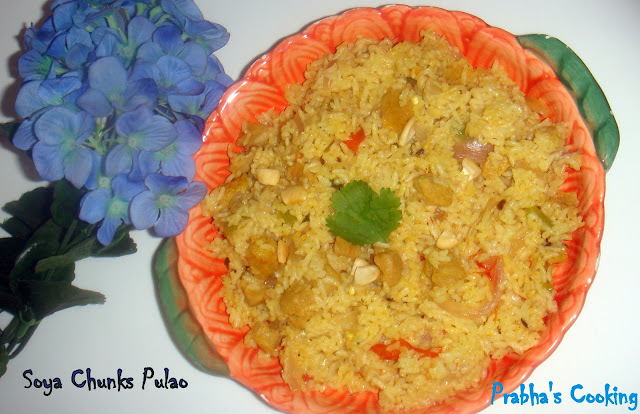 tasty and healthy pulao,where do you get seerga sambha rice here? Pulao looks super healthy Prabha. @Nalini..i got this rice from Patels in Montgomery!! Pulao looks so invitng. Healthy and delicious also. Yummy pulao and thanks for linking to the event Prabha. yummy puloa.....luv it any time..
thank you for your wishes @ my 300 th post..
prabha, can you tell me @ what name seeraga samba rice" sold here?? h many lb?? I did notice the brand name.Next time will check and tell u., I got 10 lbs bag ..
lovely and healthy pulao. :-) nice shot prabha. Fulfilling healthy lunch, good presentation too. wow, delicious and healthy pulao, love soya chunks..